=PR= Race Series held their third of four free trail runs this morning at Riverbend Park in Great Falls. The Trail series is perfect for runners of all levels. 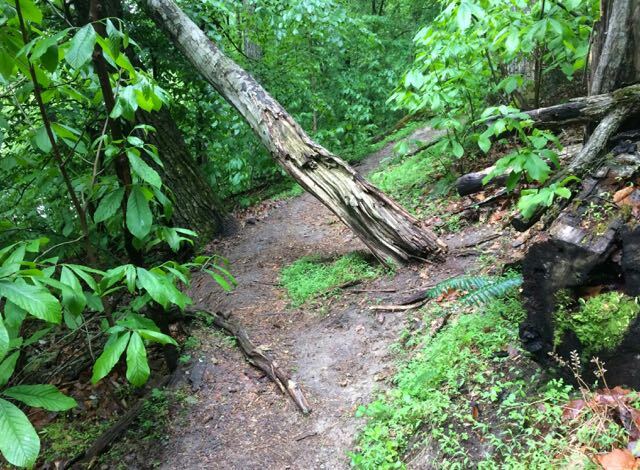 If you are new to trail and just want to try it out, if you are an experienced trail-head or somewhere in between, this is the perfect opportunity to get out and explore our local trails. 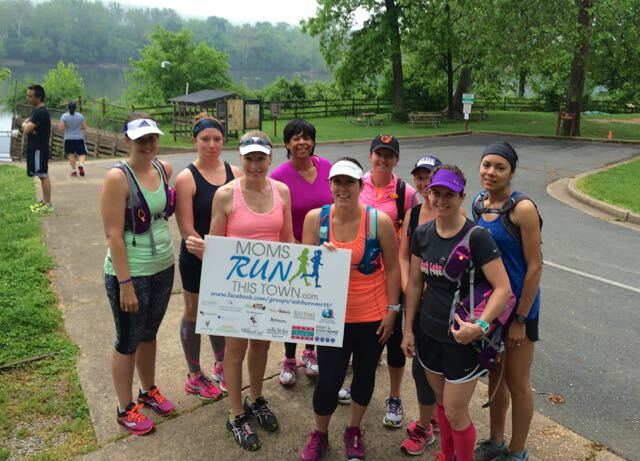 Per usual, we had an MRTT multi-chapter photo-op just before the run started. 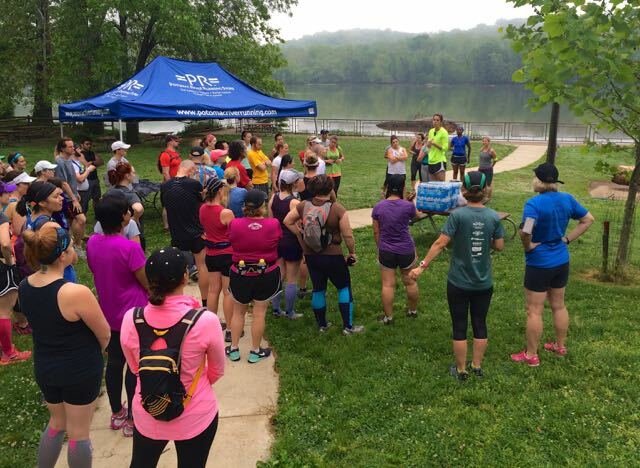 It’s always fun to meet new runners from around the area, and I got to officially meet Sarah-Joy whom I’ve been emailing back and forth with since last Saturday’s Burke Lake trail run. 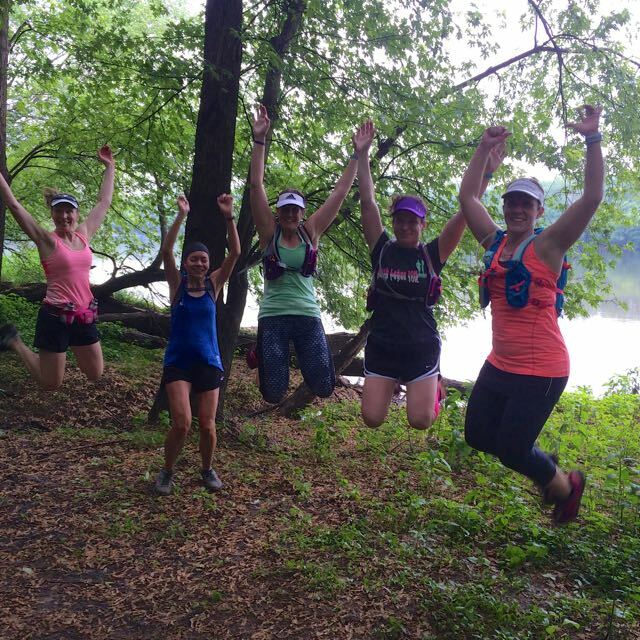 As with the past trail runs, Terri, a representative from Potomac River Running Store got us started from our check-in point near the boat launch. 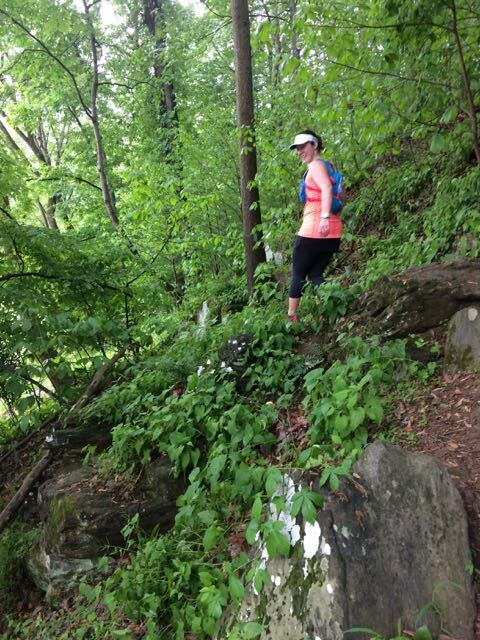 We had two choices for our run – we could run west and hit some of the more hilly portions of the trail, or we could run east and hit the more rocky portions. We chose hills over rocks. 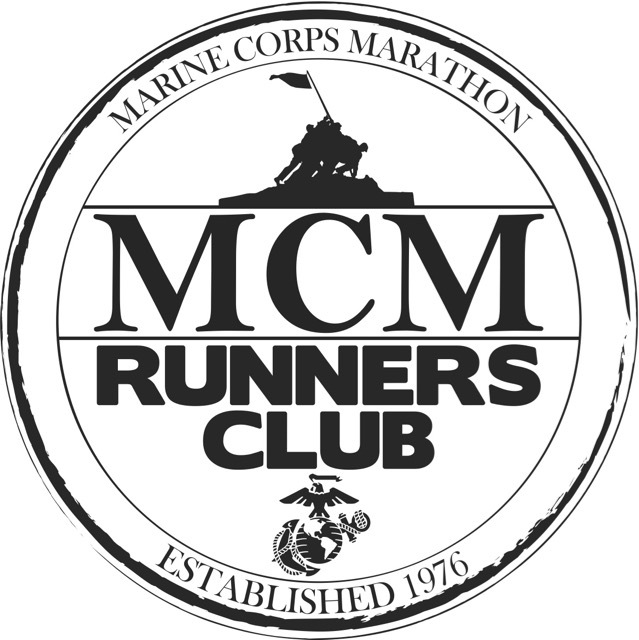 In mid-June, I will be running on our local MRTT chapter’s Ragnar Appalachians team. My friend Meagan from Turkey Runner is on our team, too! 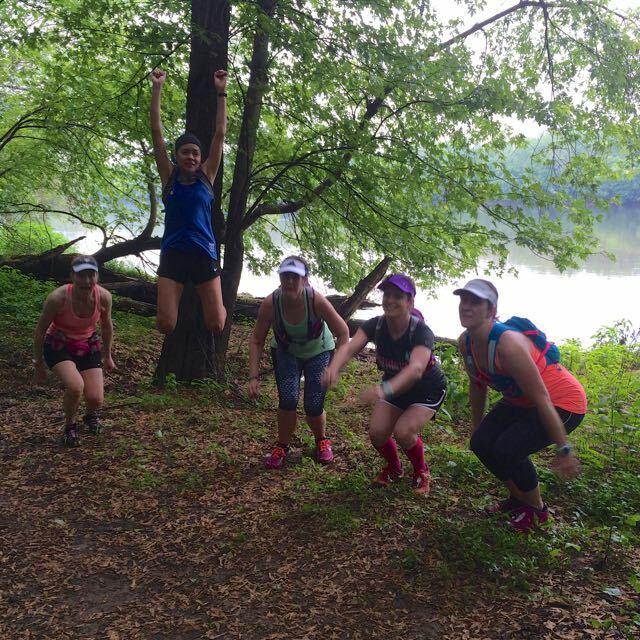 Gayle, Angela, Lupe, Amanda (she’s on another Ragnar team), and I have found these training runs perfect for us as we prepare for our relay. 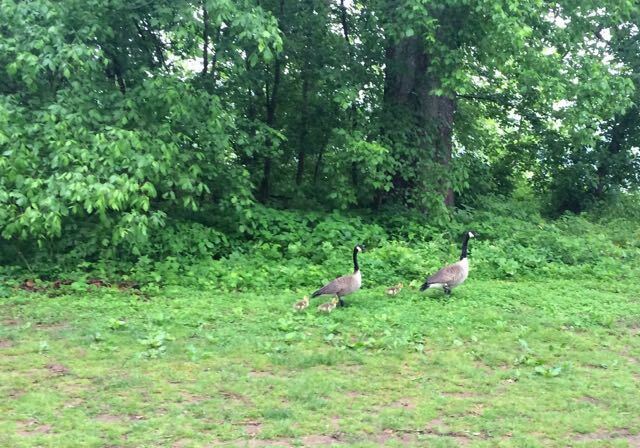 Once we took off for our run, we immediately slowed to let this family of geese and goslings cross the path and get out of our way. After being pooped on yesterday by a bird, the last thing I wanted this morning was to be chased by an angry mama goose! 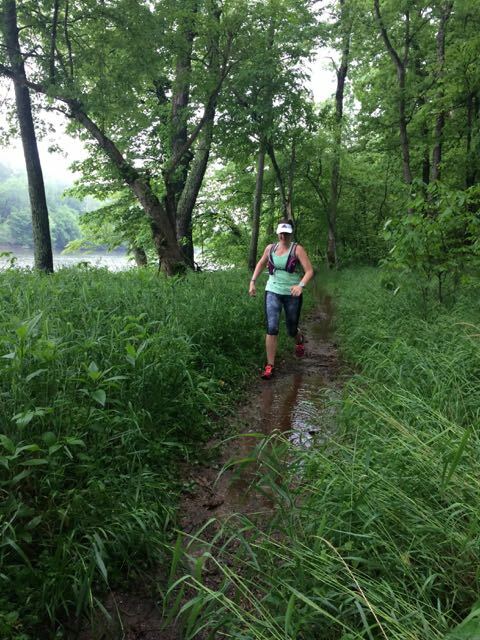 Torrential downpours yesterday made parts of the trail very muddy, but for the most part, the terrain was delightful. Hard packed sandy dirt down along the river made for the best running. The hills were somewhat technical, but nothing compared to the Appalachian Trail. Roots were more of a problem than rocks. Here Lupe plows through our first mud hole, and Angela follows right behind. Lupe was so excited to jump that she just couldn’t wait for the rest of us! What goes up, must come down, and Lupe landed while we were at the top of our jump! We tried about four different times, but were never able to sync. 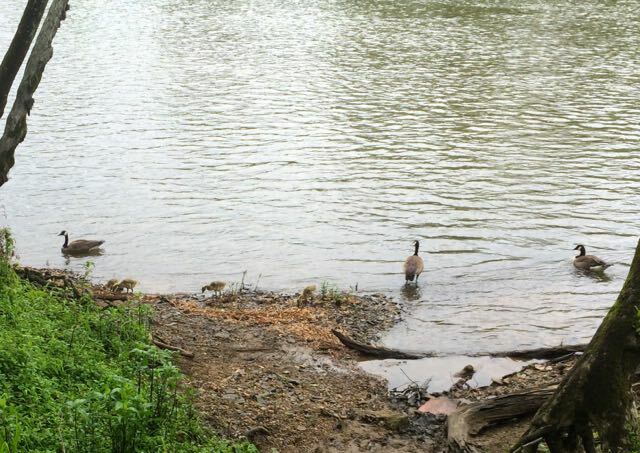 After our turnaround, we saw another goose family with their teenager goslings. 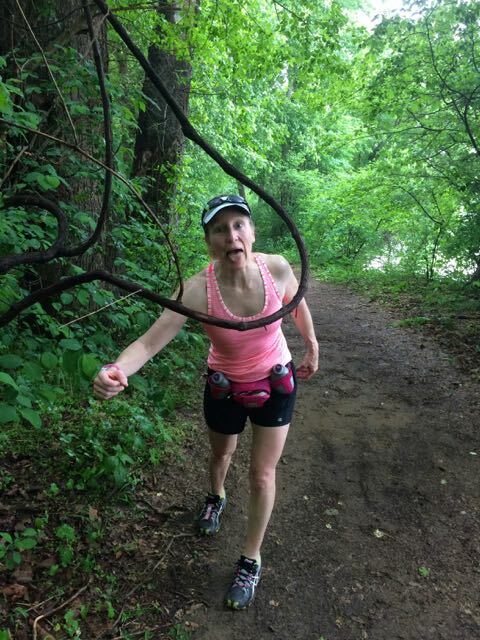 And just to show you how dangerous trail running can be! 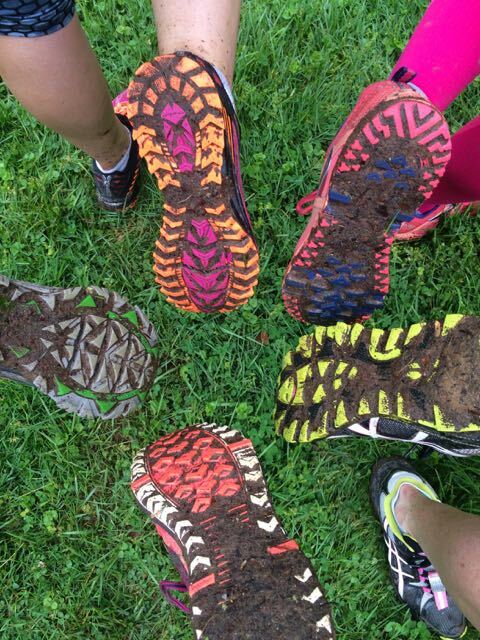 I think our shoes speak volumes about how much fun we had on our trail run! Just like after last week’s trail run, and after another week of getting too little sleep, I took a three-hour nap this afternoon. Perhaps it’s a new trend, or perhaps I should just try to get more sleep. My goal for this week is to get to bed before midnight on the nights that I’m getting up at 4:40 AM for our group runs! 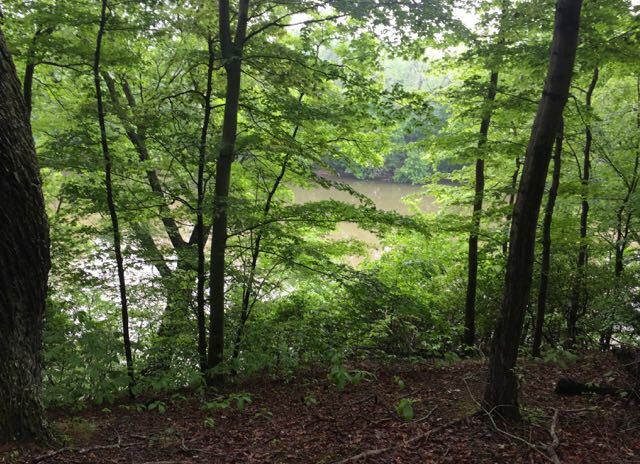 Local peeps, have you ever run at Riverbend Park? Do you like running in the mud? Trail running has definitely become my favorite! Any chance you’ll be able to make it to the last event on June 6? I’ve been enjoying your trail series recaps. Rick & I plan to come to the last one at Lake Fairfax. Hope to see you there! Yes, I plan to be there, so hopefully I’ll see you then! I just realized today who you were! I commented on your blog months ago, I am a VT fanatic as well and I grew up in Radford and went to Tech. We talked yesterday, I am the woman running the Yellowstone Half next month with my friend Allison. I had the raspberry shirt on and was the one worried about the hills. You were so great in giving us advice about walking the hills if we needed to. Wish I had know it was you! Perhaps if I had worn any of my VT gear we would have figured it out! Maybe I’ll see you at the next trail run for PR! This is so great – I love meeting people as a result of my little corner of the internet! After my husband and I drove away, I realized that I should have told you guys to go to DebRuns.com and click on my Facebook page. Then you could post a couple of your Yellowstone Half pictures there so I could see them. Seriously, I’d love to see them! 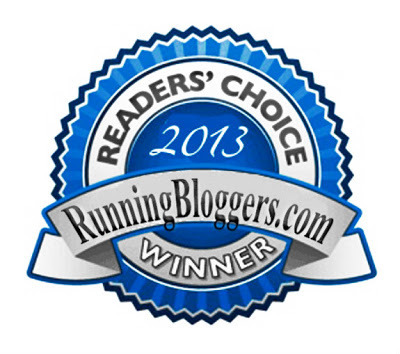 Also would you or Allison consider writing a race recap as a guest writer? 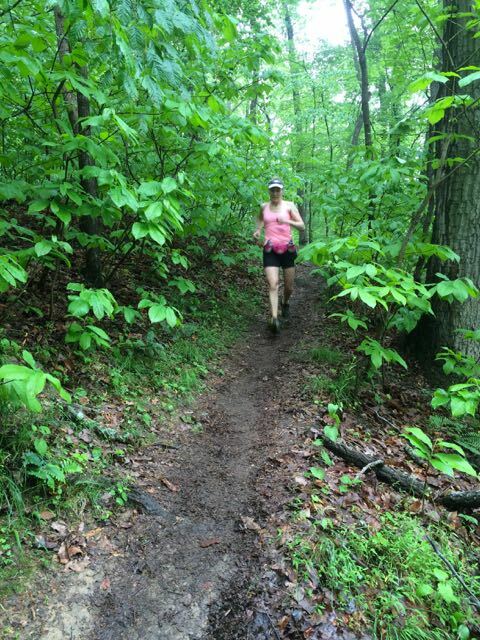 Yes, I plan to be at the next PR trail run at Lake Fairfax on June 6. Look for me before the run somewhere near the MRTT sign. See you there! I think hills over rocks was probably a good choice given the mucky conditions. Slippery rocks = no bueno! Oh wow, Courtney, I had really thought about the rocks being slippery after all that rain. Good point! I haven’t been out to Riverbend in years but I grew up right near there. Looks like a blast. Your Ragnar will be a blast! I’m really looking forward to running Ragnar with my buddies! Are you running it? gahhh!!! I signed up for this but couldn’t make it yesterday. Maybe I’ll get to the last one. 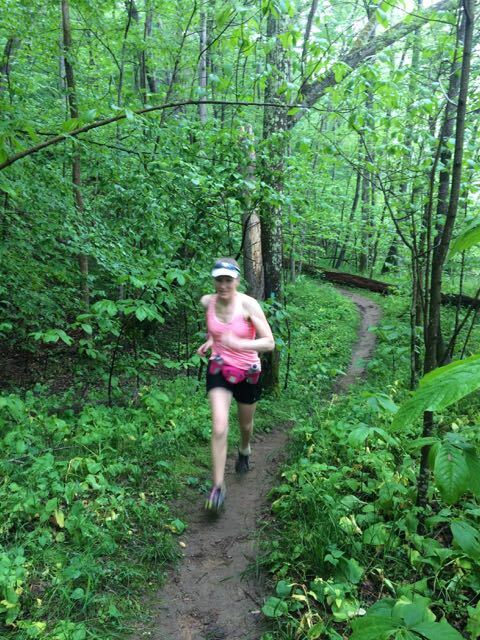 I love trail running and this looks like such fun!! I kept an eye out for you, but wasn’t sure if you’d signed up or not. I’ll be sure to look for you at the next one! If I stayed up past ten I would never wake up! 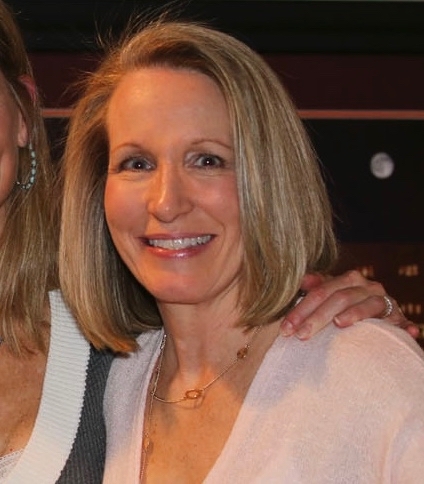 Karen recently posted…It’s The Third Week of May?! I’m a mix of both my parents – I’m a night owl like my mom, but I love to get up early like my dad. That lifestyle sometimes leads to exhaustion by the weekend. Luckily, I don’t kneed a lot of sleep, and usually six to seven per night is plenty. That trail looks awesome! Mud doesn’t stop me. 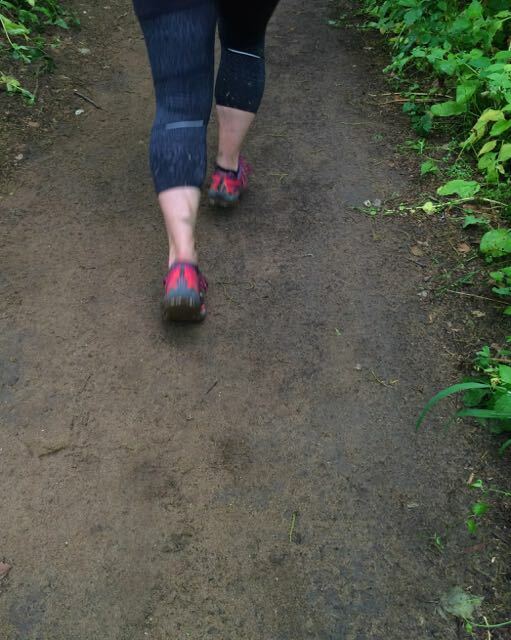 We don’t have a lot of unpaved trails around here…I”d love to run that one! Great pictures – looks like its as so fun. Im a bit sad I missed them this season, always next year. Looks like another great event. Y’all are getting in some great preparation for Ragnar! I wish there was a group trail setting like this in my area that I could join up with. Most of my trail running is done solo. 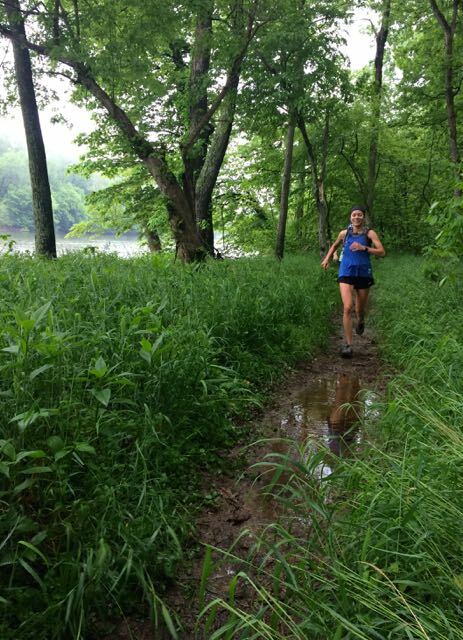 There are definitely groups that trail run together in the New River Valley, but the ones I know of are all ultra runners who are way fast. 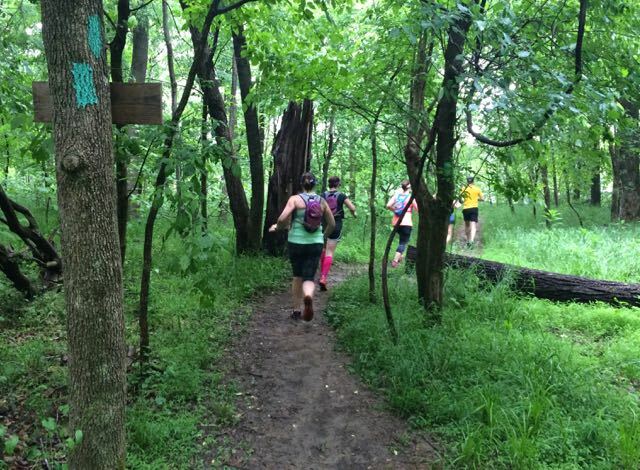 This series is designed to introduce runners to trails, as well as give trail runners a fun organized event so it’s great for everyone! We have 30, 60, and 90 minute options at each event. The last one is next Saturday.